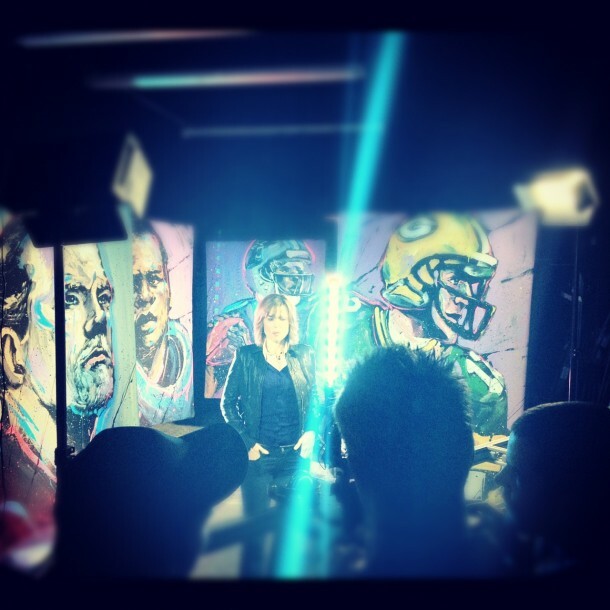 Yesterday Hannah Storm and a crew from ESPN came to my studio in Sacramento to capture some footage that will air next week! Hannah is hosting a show called “Face to Face” that features athletes who were in the headlines throughout the year. I was on hand to create iconic portraits of these subjects and the performance of each one will be featured throughout the show. Show Info: Face to Face, Jan 31 at 9pm ET on ESPN2 CLICK HERE!